Hotel Hrabovo** is situated in a beautiful sorroungings of valley Hrabovská Dolina close to town Ružomberok, in a very heart of mountains Veľká Fatra. It is placed virtually under a 8 person cable car which gets the people directly to the resort Malinô Brdo (960- 1209 metres above the sea). It is convenient way for skiers especially in winter season. Hotel disposes of 81 beds capacity in 27 rooms of different standard. Naturally our restaurant offers a great variety of dishes and local cuisine. In a tasteful position of garden chess, table skittles and table tennis we offer great fun just in front yard of our hotel. Calm atmosphere is excellent way how to relax and it is also remarkable way for other leisure activities. 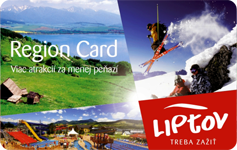 Liptov region is one of the most beautiful places in Slovakia with great variety for any outdoor activities, theme parks , tourist and historical sightseeings.